Note: This is an article that I wrote as we participated in the 1984 Billy Graham Crusade. 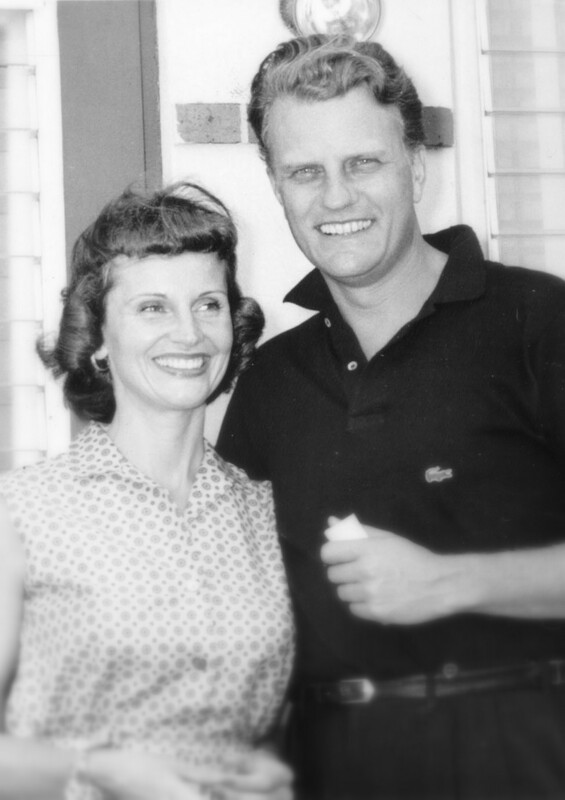 We are grateful for the faithfulness of the late Billy Graham, particularly for his leading my mother to Christ and his impact on Queen Elizabeth. In 1984, I was privileged to serve as the Publicity Co-ordinator in Abbotsford for the Billy Graham Crusade. At the time, I was serving as a priest at St. Matthew’s Anglican Church in Abbotsford, one of the faithful congregations that still stands for the Lordship of Jesus Christ and the authority of scripture, even to the point of being ejected from their building. When people initially think about Billy Graham and the Oct. 14-21 1984 Crusade at BC Place, some are enthusiastic; some are totally opposed; and some have certain reservations. It seems that the three main reservations people may raise are in the areas of three ‘f’s: finances, follow-up and fundamentalism. Some people have seen certain ‘TV’ Christians give very manipulative financial pitches. It often seems as though they always have their hands in your wallets. Some evangelists suffer from poor financial procedures, and sometimes from downright dishonesty. 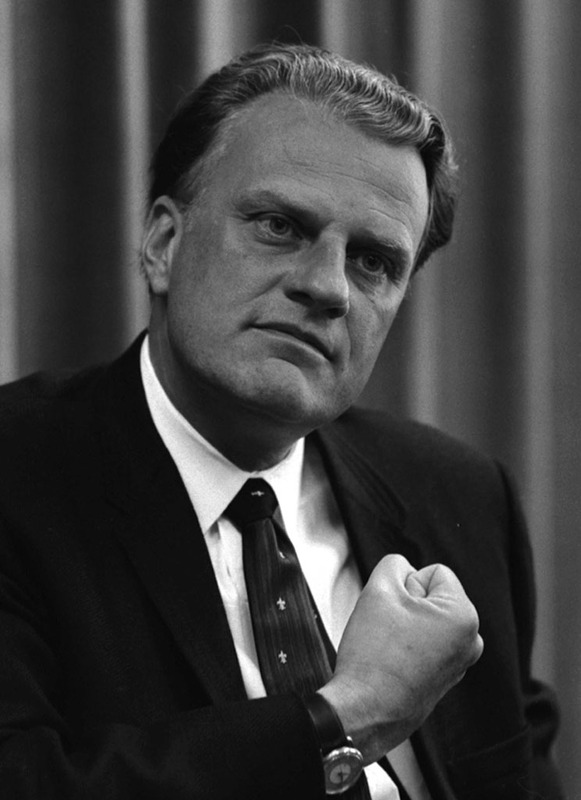 Therefore the question is –Can Billy Graham be trusted financially? The first thing that needs to be mentioned is that Billy Graham comes to this BC Crusade (and in fact to every crusade) at no salary expense whatsoever. His salary is paid totally by the Minneapolis office, and he receives no personal remuneration whatsoever from the local committee. Billy Graham has not accepted as personal remuneration a love gift, an offering, or an honorarium since 1952 when he went on an annual salary. This amount has been pegged at the salary received by an average high school principal. You may ask, ‘Why has Billy Graham been so scrupulous?’ Basically he realizes that unless people trust a person financially, they won’t trust him spiritually. Far too many evangelists in the past were ‘easy marks’ for being suspected as financial crooks and as incompetent people. Billy Graham has set a high ethical standard for finances that governments and secular businesses could imitate. Other financial areas worth mentioning involve budgeting, accounting, and fundraising. First of all, the local committee sets the budget, as well as receiving, accounting for and disbursing all the funds. Secondly, an independent audit will be done by a public accountant and then published in newspapers. Thirdly most of the funds are raised before the crusade meetings so that there will be no undue emphasis on money during the eight crusade nights. One common reservation frequently raised by people is ‘does it really stick?’ Isn’t this just momentary enthusiasm that will fade away and disappear?’ Many people are convinced that these so-called converts will never make it in the local church. In response to this concern, R.O. Fern did a major research study among thousands of converts from Billy Graham crusades. In 35 years of crusade evangelism, Billy Graham has preached the Gospel face-to-face to more than 100 million people in more than 100 countries around the world. More than one million people have made commitments to Christ at the crusades. Fern discovered that 85% of the people who became Christians at the Billy Graham crusades were actively involved in the life of the church , ten, fifteen and even twenty years later — an astonishing success rate when it comes to followup on new Christians. The case is clear. With 85% of converts still in church twenty years later, there can be no doubt that this is more than a quickie hyped-up decision. They are well-thought out, careful life choices. Because Billy Graham is interested in making disciples for Christ, not just momentary decisions, 45% of the crusade emphasis is put on the followup process. The key to follow-up in the local church. Unless a new convert becomes an integral part of a local church, his chances of survival are minimal. Even Paul’s famous epistles were essentially written as followup material for new Christians. Not every follow-up approach is right for every person. Billy Graham has developed nine followup activities that can aid the new Christians. These include personal counselling, Bible study correspondence, local church followup, literature followup, Decision magazine, nurture groups, telephone followup, radio followup, and special followup. Ultimately, of course, the great followup agent is the Holy Spirit himself. As Psalm 127 puts it, “Unless the Lord builds the house, its builders labour in vain.” That’s why Billy Graham always says the three keys to reaping God’s harvest are (1) Prayer (2) Prayer and (3) Prayer. A third concern raised by some people is “Isn’t Billy Graham just an extreme right-wing fundamentalist?” Some people have even tried to link him with Ian Paisley of Northern Ireland and Bob Jones Jr. The truth is that Bob Jones and his university blacklisted Billy Graham crusades. During the New York Billy Graham Crusade, Bob Jones, along with other well-known fundamentalists, put a full page ad in the New York Times, calling for a boycott of the Billy Graham Crusade. 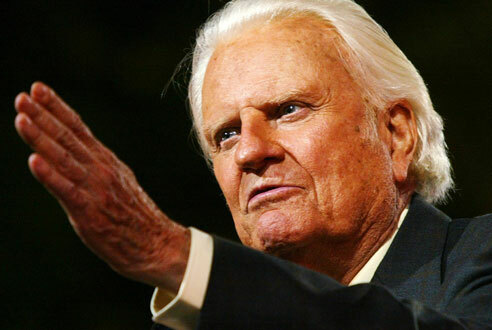 Billy Graham’s name is ‘mud’ among true fundamentalists. Although he certainly believes in the biblical essentials, he is more accurately described as a solid evangelical than as an extreme fundamentalist. My challenge to you and your local church is to examine any reservations regarding the three ‘f’s of finances, followup, and fundamentalism. You are invited to take the bold step of throwing your weight behind this exciting outreach with Billy Graham. Categories: Uncategorized | Tags: 95th Birthday, Billy Graham, Billy Graham Association of Canada, Jesus, My Hope | Permalink.